Hot Competition Being Whipped Up This Summer! Spring arrived slowly, bringing with it a bloom of new restaurants and events to all corners of Baltimore. Now, summer is on the horizon and the weather isn’t the only thing that’s about to get hot here in Charm City! 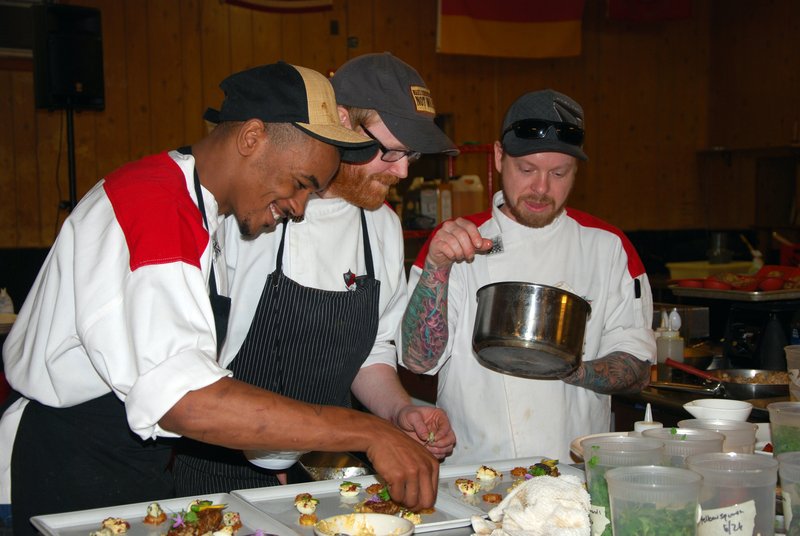 Starting on June 17, sixteen top chefs from some of the area’s most popular restaurants and bars are going to embark on the eight (non-consecutive) week long Mason Dixon Master Chef Tournament. This fierce, Iron Chef inspired competition is in its 4th year and promises to be even bigger and better than the previous highly successful competitions. So, why should you peel yourself away from Food Network or Cooking Channel in your air conditioned living room in the dog days of summer? Oh, I have more reasons for you than Food Network’s Chopped basket creators have crazy ingredients! Mason Dixon Master Chef Tournament is the ultimate opportunity to experience a live cooking competition. While televised versions can be somewhat one dimensional, audience members at the MDMC Tournament will be able to clearly see and be a part of the entire experience. The audience watches up close as chefs compete. Being part of an audience isn’t exciting enough? How about being a judge? Mason Dixon Master Chef Tournament organizers have created an interactive experience for those who want to be truly involved in the competition. With an upgraded guest judge experience, your vote can contribute to deciding who wins for the evening. If you’re really lucky? You may be the guest judge chosen to decide the team that gets each of the secret ingredients at the commencement of the competition! While the competition shines the limelight on talented local chefs in the competition itself, the judges are an exciting group of local talent as well. Well known restaurateur and wine expert Jerry Pellegrino and chef owner of Jack’s Bistro, Ted Stelzenmuller are just a few of the names on the list. 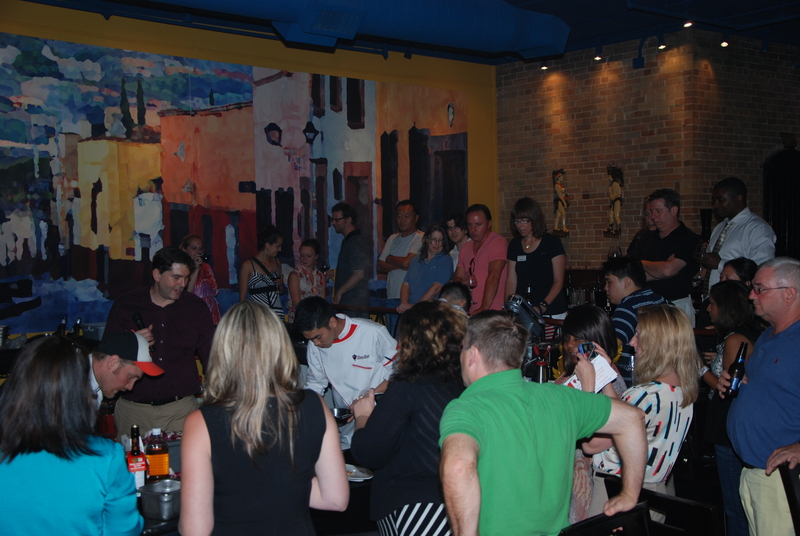 Before and after the competition, audience members will have the chance to chat with any of the chefs and judges. Now, back to that summer heat… Why turn your house into a steamy sauna whipping up dinner on a weeknight? Instead, while the kitchen heats up at the Inn at the Colonnade, this year’s home to the Mason Dixon Master Chef Tournament, cool off with some cocktails (or other beverages of choice) on special and nosh on savory complimentary hors d’ouevres. Those with guest judge tickets will have the opportunity to try some of the chefs’ creations as well. To top it all off, tickets are a steal at only $25 each for a general admission ticket, and $45 for a judging experience ticket. Additionally, you can feel good about contributing to charity, as 10% of the proceeds are donated to Meals on Wheels. 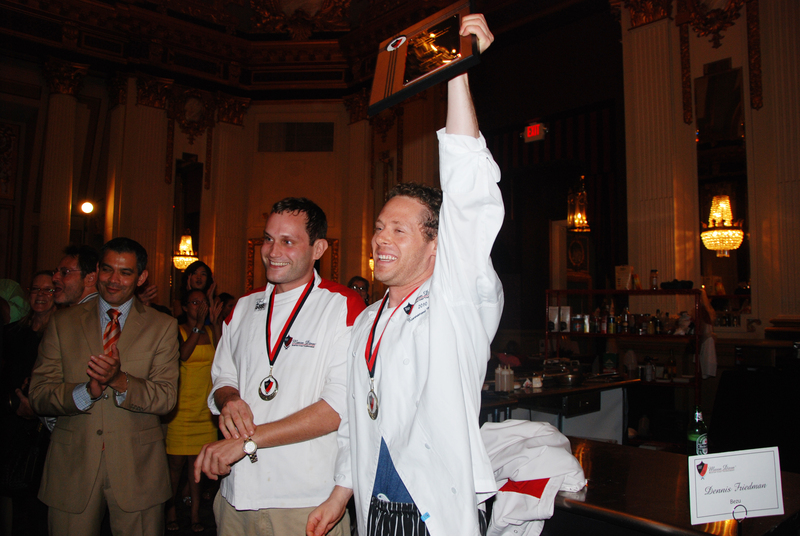 Check out details, including a list of chefs and judges, at http://www.masondixonmasterchef.com/index.php. I’ll be guest judging at least one event – I hope to see you there!